At this point in my life with kids, I don't make time for much makeup. But I do love a nice line of eyeliner and a little mascara even on the days we stay at home and school all day. I just feel more put together and ready to take on the day. That means I need to take the extra step to remove it before I fall into bed at night. Here's my skin care recipe for cleaning my face... coconut oil. So simple. Healthy, nourishing for the skin, moisturizing, natural, and I can read all the ingredients. It's a little thing called oil cleansing and it works really well for me. I've been using oil cleansing for years now because it leaves my skin feeling soft and clean. And my pores are smaller than they have ever been in my life - bonus. Here is what you need to do to try it. Head down to your kitchen and grab a tiny spoonful of coconut oil. (If you don't already have some, you can pick some up at most grocery stores. 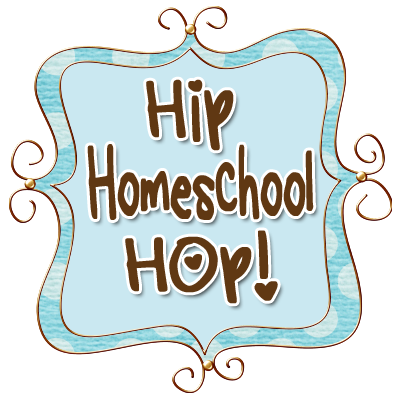 Look for the best quality you can spring for.) 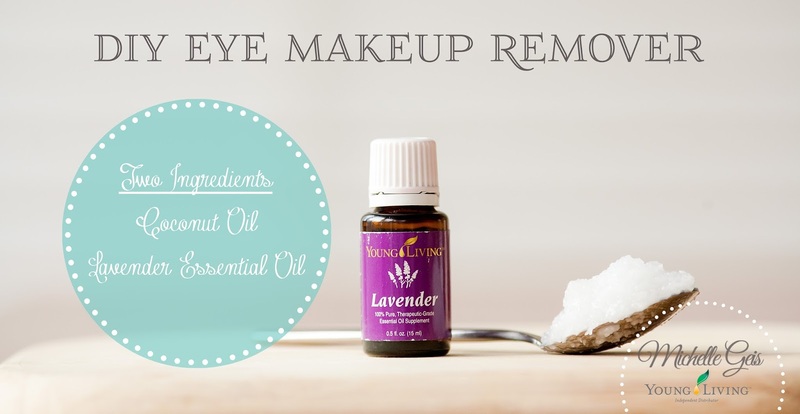 Add a drop of Young Living Lavender essential oil to that spoon of coconut oil and mix it with your finger. If it's cool where you are, it will stay solid. Otherwise it make melt into a smooth liquid. Take a small pea-sized amount onto your fingertips, massage until fully melted, and then gently massage around your eye area. Grab a cotton ball and swipe down to remove. Repeat as needed, usually I only have to do this once unless I have gone all out with a dark-lined smokey eye look. Wash your face like normal. 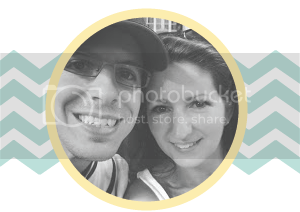 Go try it and let me know what you think. Now if you like that little recipe, go ahead and mix up a batch to keep in your bathroom or whereever you remove your makeup. I add about 5 drops of Lavender to every rounded Tablespoon of coconut oil and just gently mix the two ingredients together. Store your makeup remover in a small glass jar or other container. If you choose to use fractionated coconut oil it will remain liquid regardless of your room temperature. In that case you can simply pour it into a small squeeze bottle that you can pick up off Amazon or the travel container section of Target. If you use regular, extra virgin coconut oil like you would buy at the grocery store and it's solid, use a small glass jar canning jar (or baby food jar) or one of those awesome silicon travel tubes like GoToob from Amazon. 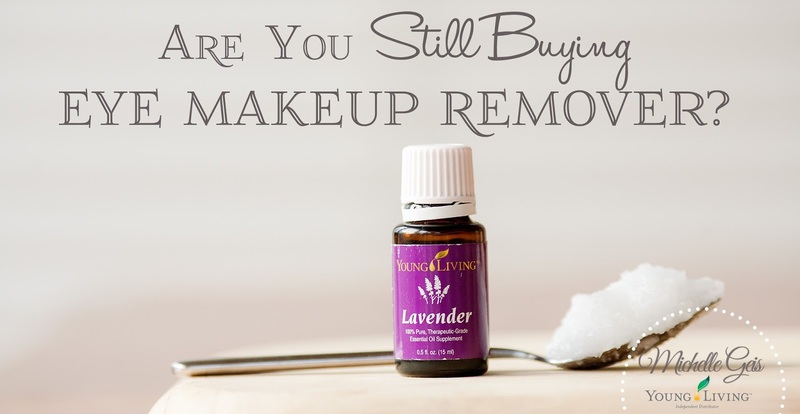 As a bonus, I found that once I started using Lavender in my mascara (Yep, that's a whole other post. 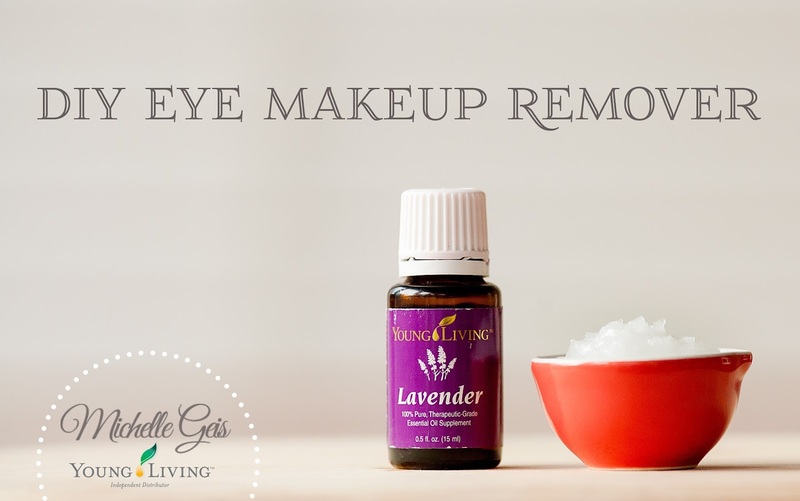 I add 1 drop of Young Living Lavender essential oil to my mascara tubes. Ah-Mazing.) and in my coconut oil for my face, my eyelashes now look fuller and thicker. Please feel free to message me for more information on Young Living oils. 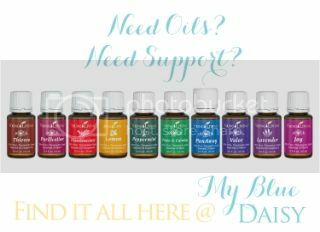 You can also find out how to purchase your own collection of Young Living Oils HERE. Be sure to message me because I like to send all my friends a welcome gift.